From the first moment you see our nostalgic 1957 bread van your transported immediately back to simpler time, where things moved at a slower pace. A place where coffee smelled, and tasted like coffee. Froth Coffee and Tap Truck is that time and that place! 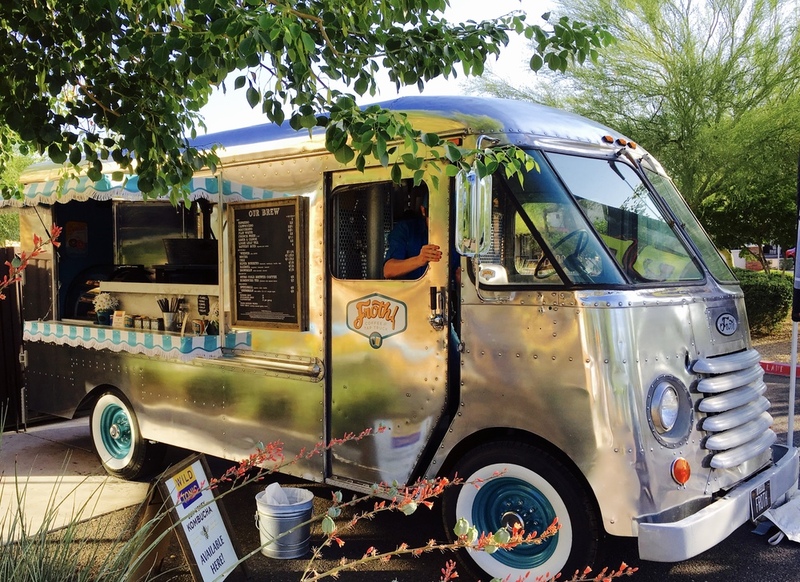 We will come to you and make the best cup of Espresso, Coffee, Nitro or Kombucha in Arizona, by using all organic and locally sourced ingredients. We use a mixture of new technology along with old school knowledge and traditions. We handcraft all our drinks and use the best coffee beans roasted by the best people! Our coffee smells and tastes how coffee should! We only provide these services for your Pre-paid private event, once there we can we can pour craft beer or other Kegged drinks out of any of our 3 cold tap or 2 Hot Taps, just leave the work to us! We can be reserved for events, receptions, parties or whatever? If you are looking for that old school coffee nostalgia. Call us today! Oh yea, we forgot to mention that we are "Green Beans" meaning we power the van from the sun and store that power in batteries - we then crank up the juice with a silent military grade inverter, which allows us to actually have a conversation with you! The alternative is to shout at you over the droning noise and smell of two huge generators. (We like our way much better) Need us indoors? yep we can do that too! Thanks, we should be back with you quicker than a shot of espresso. !